Is Bob Harte Gay ? The American reality star and Television personality Bob Harte is known for his appearance in the Discovery Channel's show, "The Last Alaskans". He left his hometown Jersey and traveled to Alaska to spend time in the wilderness. While his time at the wild he could survive even the deadliest of dangers like gunshot, serious wounds and wildlife attacks. Harte wanted to be a wanderlust who lives a free life and goes wherever he wants. In Alaska, he lived with his ex-wife and daughter who later on went their separate ways. Bob Harte was born to parents Eleanor Harte and Vernon Harte on January 23, 1951, in Jersey City, New Jersey. He didn't do much schooling since he wasn't interested in formal education and went to Alaska at the age of twenty-one. Harte had initially known about the place from books and wanted to go there someday which he did. Alaska impressed him and he decided to stay there for life. As a kid, he was taught trapping, construction works, and building by his grandfather which came in handy while living in the wild. He also loved adventure, fishing, hunting which was useful to survive there. Bob Harte was a Television personality who used to star on the show, The Last Alaskans. He appeared in the show for two seasons and had to leave to show after he was diagnosed with cancer. His life in the wilderness was documented and featured on TV by Animal Planet and the Discovery Channel along with Heimo Korth's family. Their series was divided into three parts namely The Last Alaskans, The Last Alaskans: Remote Access and The Last Alaskans: No Man's Land. 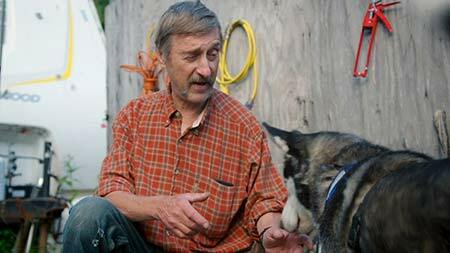 Due to these health issues, he couldn't be a part of the third season, The Last Alaskans: No Man's Land. In the documentary show, he is seen surviving dangers like gunshots, crash landings, wildlife attacks, fires and so on. He spent his time sitting in a chair outside his self-made cabin and used to drink beer brewed by himself. 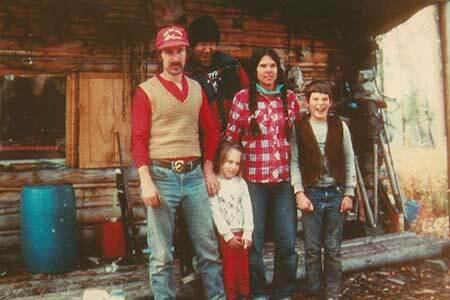 The other family living in Alaska including Otto Kilcher and his son Eivin Kilcher. The late Television personality is estimated to have a net worth of $600,000. His main source of income was from his appearance in the show, The Last Alaskan where he was the member of the cast for years. Bob Harte was married to a woman named Nancy but they separated later on. He shared a daughter named Talicia Harte with her who is his only known biological daughter. His daughter got married and gave birth to a daughter named Carmela. He was battling with cancer and his fans from the show showed him a lot of compassion. He was the most lively person in the wilderness and could survive even the deadliest of dangers like gunshot, serious wounds and wildlife attacks. But it was finally cancer which took his life. He had been battling with cancer for a long time and to get medically treated he left Alaska. Even after getting the severe medical attention he couldn't fight for long and lost the battle to cancer on July 21, 2017. People were devasted over his death since they loved him so much and loved the positive attitude he carried throughout his life. Even living alone with his dog Ruger he was happy and his love for his family living far away from him melted every viewer's heart. Age: As of 2019, he is 67 years old. Here is a video presenting the life of Bob Harte! Bob Harte was married to a woman named Nancy but they separated later on. He shared a daughter named Talicia Harte with her. The couple has a daughter named Talicia Harte with her who is his only known biological daughter.